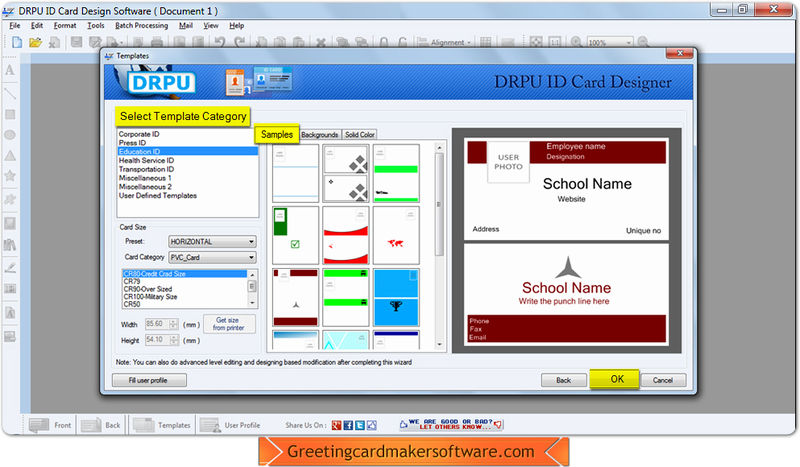 ID card Maker Software Screenshots helps you to create any number of student ID card, employee ID card, faculty ID card, security guard ID card and many more with different shapes and design with few mouse clicks. 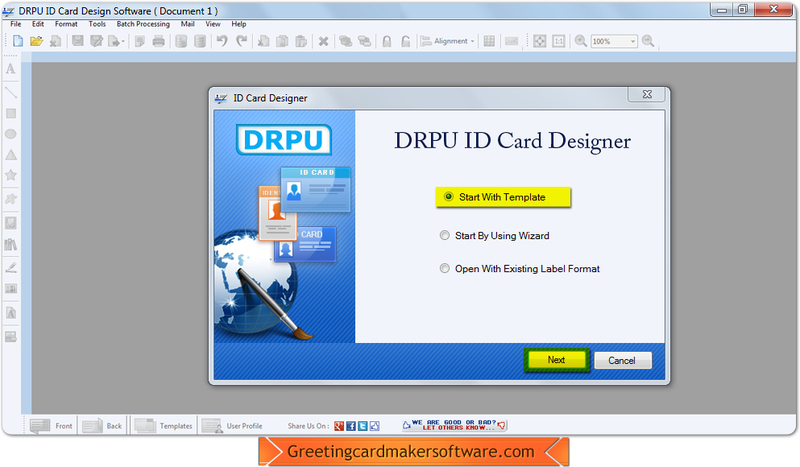 Run DRPU ID Card Designer Software and choose template option. From this window select template category and click on ‘OK ‘button. 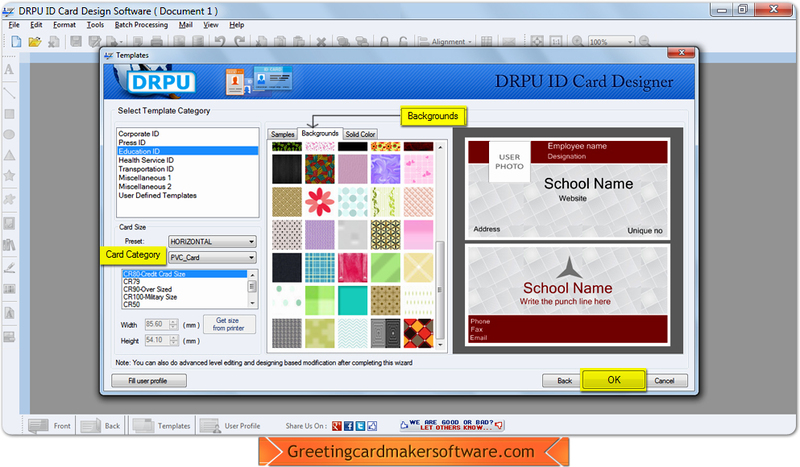 You can also choose card category and backgrounds to design ID Card.